Payday Loans? No, It Will Never Happen to Me! No doubt you’ve heard at least once that taking a payday loan is hardly ever can be a good idea. However, the opponents of such approach, skeptically smiling, contend that payday loans can be the last hope when unexpected expenses leave your family without money and it appears impossible to make both ends meet, especially when you get under the threat of an electricity shutoff or other disastrous occurrences. We can certainly imagine emergencies that may happen to everybody, and money can prove required very urgently, when alternative sources are not available. But while you are thinking over whether the service is blessing or curse and reasoning out “what to do if”, the statistics keeps on being rather impressive. Fancy that only Wonga.com, a growing British private payday loan company could open its 11 shops in one high street in 2012, where you are able to get fast cash as they promise for not less than 15 minutes. According the Office of Fair Trading the company has made 2.2 billion pounds value of the industry up from 9 hundred million since 2008. Does it come as a surprise? In the United States the statistics figures are rather staggering as well, according CNNMoney that declared in their research 12 million of people who take payday loans of about $400 with 14% able to pay them out every year. As economists, policymakers and the grassroots are trying to find a consensus and decide whether payday lending makes consumers better or worse, we offer to take a closer look at this modern phenomenon with its hidden rocks. Payday loan is a short-term loan issued for urgent consumer needs, such as medical accounts payment, car repairs and other. Its sum fluctuates ranging from 100 to 1500 dollars. The loan is issued in a day for a term of about two weeks. The payday is expected to be repaid in full out of the borrower’s next salary. As to pluses of this type of lending, the speed with which the loan lets you tide yourself over must be definitely mentioned. However, it is probably the only payday loan plus. 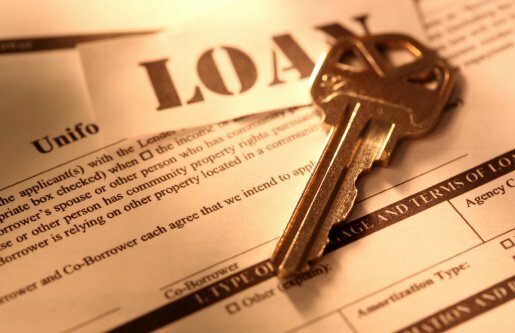 The loan shops don’t pay attention to credit history of the potential borrower and don’t demand providing any supporting documents, thus people with bad credit history can apply for a payday, as well as people with middle and low income sometimes can get short on money to pay utilities, so for these families such loans are growing reality as well. But it is not actually a plus. Payday lenders will approximately charge you $15 for every hundred you borrow. Taking into account a two-week repayment period, you can easily work out an APR (annualized percentage rate) of about 400%. Moreover, the loan must be repaid in one lump sum, so most likely you will take out a new payday just to pay off the old one, according to the statistics, it works in 80% of all payday cases. Thus inability to pay off the first loan in fact forces borrowers to roll over their debt. If the situation worsens, the borrower sooner or later will face the need of debt settlement services assistance which can let you pay back at least a part of your debt. You often don’t need to pay them unless they settle one of your debts. It’s obviously a plus, isn’t it? Especially if you still consider paydays as an ultimate truth for your family in the fight with modern economical challenges.